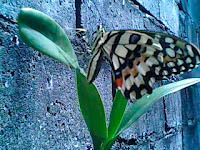 Saw this butterfly in front of our house one sunny day. I can’t think of a good story to write about it so I just lifted a poem to tell something about this creature. Read along. 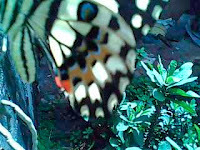 This entry was posted in Uncategorized and tagged butterfly, positive nuggets on October 23, 2009 by Yami. 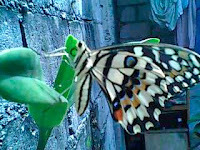 ohh.. super cute naman ng butterfly na yan sis..